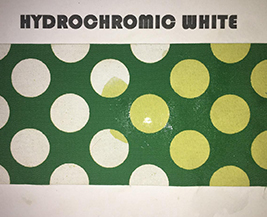 Hydro Chromic White has a special wet reveal binder that alternates from white to largely transparent when wet, then back to the original white when dry. 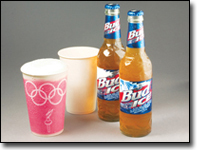 Images printed underneath Hydro Chromic White magically appear with water and disappear when dry. 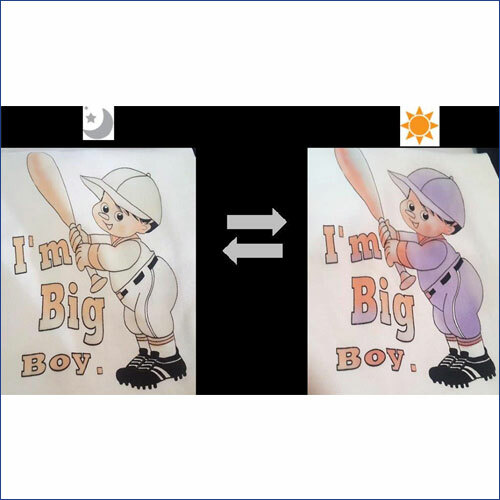 Hydro Chromic White is formulated for cotton, polyester, nylon, blended and non-woven fabrics that can be easily applied by traditional screen printing methods. It is soft to the touch and exhibits excellent water resistance and rubbing fastness, it can also be mixed with water based pigments to provide a variety of hues.